One fine morning you wake up from the bed, walk down to your wash basin to wash your face, while rinsing your face with cotton, you realize something is wrong with the skin, panic-stricken you look into the mirror and you discover that your face is developing acne, depressed, you run into medical store and buy a cosmetic product which you have seen during a commercial break on prime time TV show, unfortunately, this is how skincare is undertaken throughout the world. This article will cover a comprehensive solution for skin care to keep up a youthful white skin without having to use cosmetic products. 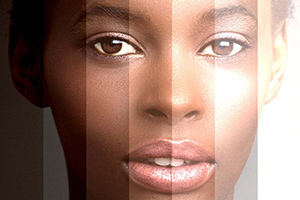 Recently we covered an article on some of the home remedies for skin whitening. In this article, we will highlight some of those effective natural skin whitening ingredients that work. Generally, hydroquinone and mercury are the primary ingredients used in skin-whitening cosmetic products. The contents in them restrict the production of melanin hence resulting in the darker skin; moreover, using these products regularly can cause untimely ageing, acne and various other skin ailments. The good news is; there are natural ingredients to brighten the skin without having to expose the skin to toxic chemicals.